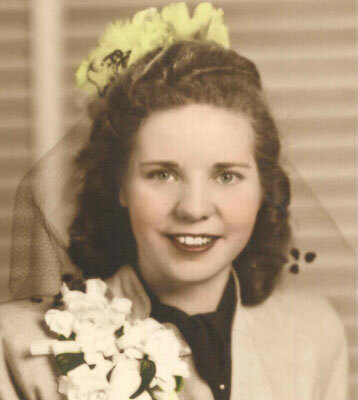 JANET BRACE AUSTINTOWN - Janet Brace, 92, of the city’s west side, died on Sunday, April 26, 2015, at 7:50 a.m. at AustinWoods Health Care Center in Austintown. Although born in Girard, Janet grew up in Struthers, where she graduated in 1941 from Struthers High School. She went on to become a waitress, working at several area restaurants, including the Dutch Pantry. Janet also worked in the jewelry department at the Austintown Walmart for several years. Janet was a huge Cleveland Indians fan, a Chaney High School Cowboys fan, and she loved to play bingo. Her greatest pleasure was being with her grandchildren and great-grandchildren. Survivors include her son, Robert E. (Patricia) Brace Jr. of Austintown; three grandchildren, Dennis R. Brace of Austintown, David A. (Gina) Brace of Boardman, and Kayla L. (Brendan) Fitzgerald of Rockaway Beach, N.Y.; two great-grandchildren, Caitlin J. Brace of Clarksville, Tenn., and Jax R. Brace of Boardman. The Brace family wishes to thank all those involved in taking excellent care of their mother and grandmother while she was in the care of AustinWoods Health Care Center. Other than her parents, Janet was preceded in death by her husband, Robert E. Brace Sr. on June 3, 1988. They were united in marriage on Nov. 29, 1945. She was also preceded in death by her son, Dennis F. Brace; and her siblings, James Walker, Margaret Hutch, and Alice Daugherty. Funeral services will be held at the Lane Family Funeral Homes, Austintown Chapel at 10:30 a.m. on Saturday, May 2, 2015, where Pastor Jack Acri will celebrate Janet’s life. Family and friends may gather one hour prior to the service at the funeral home. Janet will be laid to rest next to her husband in Green Haven Memorial Gardens in Canfield.